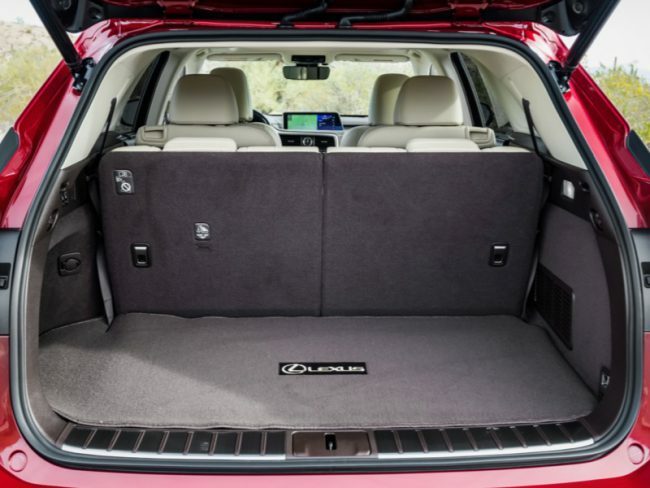 The RX has been around for 20 years now, and parent company Toyota even put those extra seats in the rear of the RAV4 a couple of models ago. 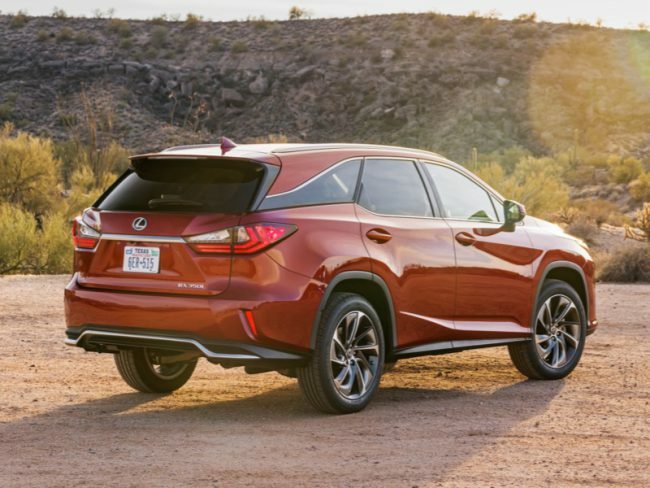 In addition to adding two extra seating positions on the very rear of the new RX, Lexus has tacked on few more inches to the body as well – 4.3 inches to be exact. What I like about the added body length is things seem a bit more balanced on the road front to rear, and that extra bit of storage space came in very handy on a recent road trip. RX L models can accommodate six or seven occupants depending on seating arrangement (bench or captains chairs in the second row) and the new third row is power folding. It will fold flat into the cargo floor and the second-row seats fold flat as well, in addition to being able to slide fore and aft for more comfortable seating arrangements. 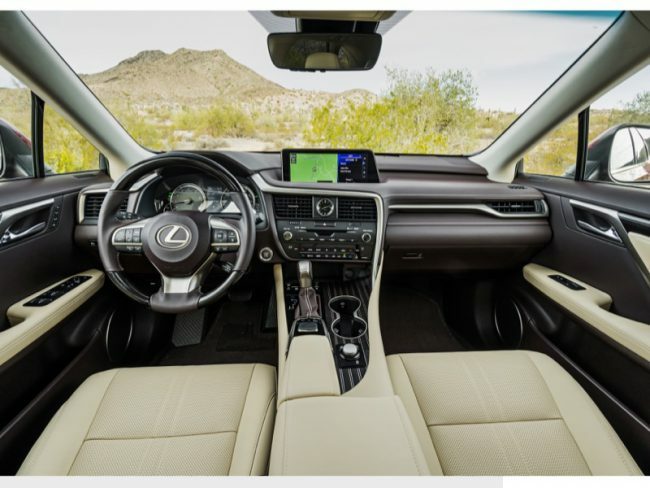 For added comfort, Lexus offers three zones of climate control inside RX L models. The third row is offered on both RX 350 gas models as well as the RX 450h hybrid gas/electric version. 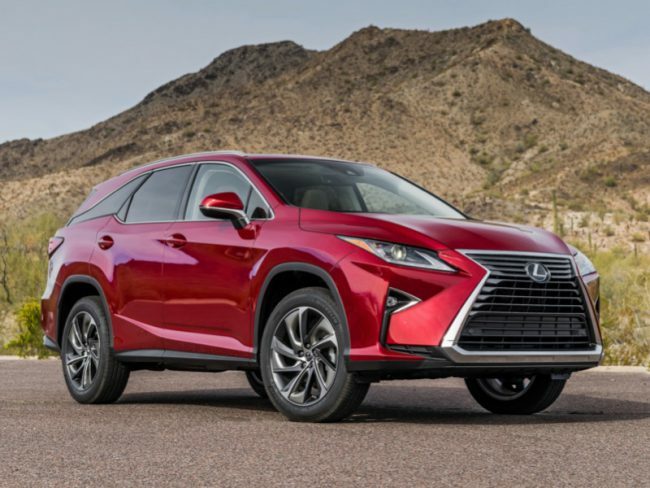 Everything else in the 2018 RX L models is the same as what we have shown you over the past couple of years since Lexus launched this latest generation. 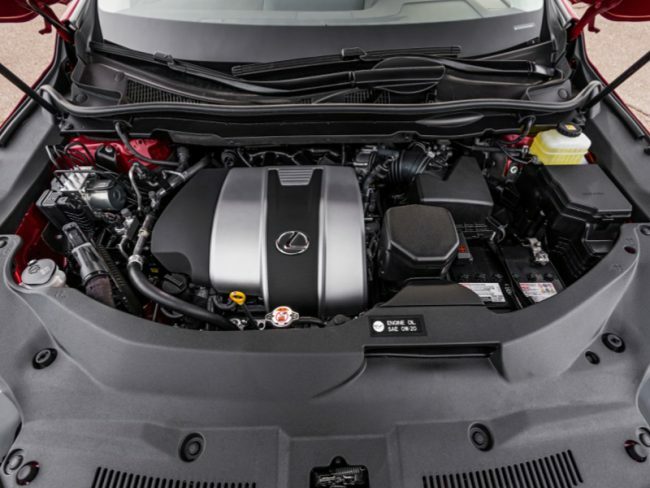 Our test vehicle was the RX 350L in Luxury trim, and it featured the 290hp gasoline 3.5-liter V-6 under the hood. This provided more than ample power in all types of mixed driving, and we put it through its paces in the Texas Hill Country recently. The engine is mated to a smooth-shifting 8-speed automatic transmission, and our ride came with the full-time active torque control all-wheel drive running gear. The drive mode selector was switched between Normal and Sport quite often, but never did we opt for the Eco setting. Of course, we were well protected in the new Lexus by the likes of blind spot monitor with rear cross traffic alert, intuitive park assist with panoramic view monitor, pre-collision system with pedestrian detection, lane keep assist, intelligent high beams, and all-speed dynamic cruise control. We loved the color heads-up display so our eyes rarely had to wander from the view directly in front of us. Of course, when we did wander over to the very wide infotainment touchscreen display that sits atop center dash, we enjoyed the likes of the Mark Levinson high-end audio system as well as the split screen display function that also showed us the nav mapping. 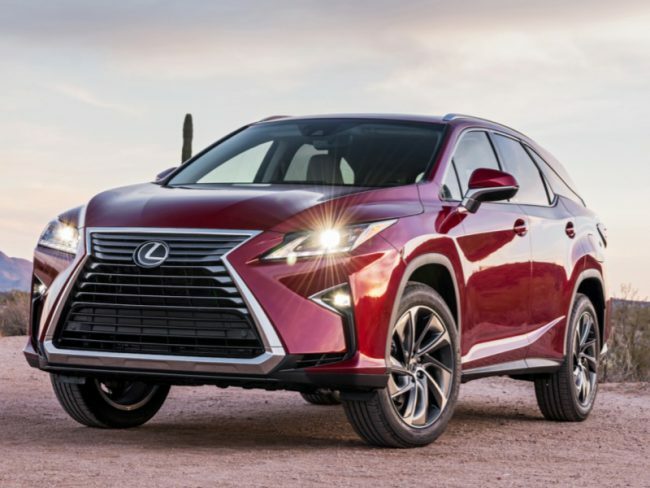 Pricing for the 2018 Lexus RX 350L begins at $46,670. Our loaded Luxury tester in AWD arrived with a final window sticker of $62,660. Fuel economy is rated at 18 mpg city and 25 mpg highway. I did climb into the “penalty box”, that is the third row and found ample room when sliding the second-row seat in front of me all the way forward. The trouble with that is if someone wants to sit there, they lose all of their legroom to accommodate for mine. Families will have to find the happy medium taking body sizes into account when handing out seating assignments in the RX L models. 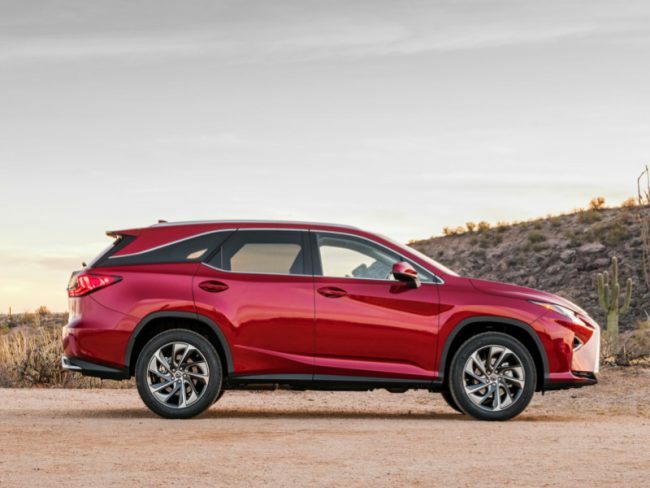 Lexus still reigns supreme in the luxury utility segment it created 20 years ago, and with the addition of the new RX L models it should not be giving up the throne anytime soon. Long(er) live the king!